The Health Ministry has appealed to the public to use mosquito nets whenever they sleep and apply mosquito repellents at home, school and office in a bid to curb the spread of dengue. On Fridays, from 9.30 a.m. to 10. 30 a.m. the entire country should clean homes, schools, offices and all the other state and private institutions, Acting Director General of Health Services Dr. J.M.W.Jayasundara Bandara said. 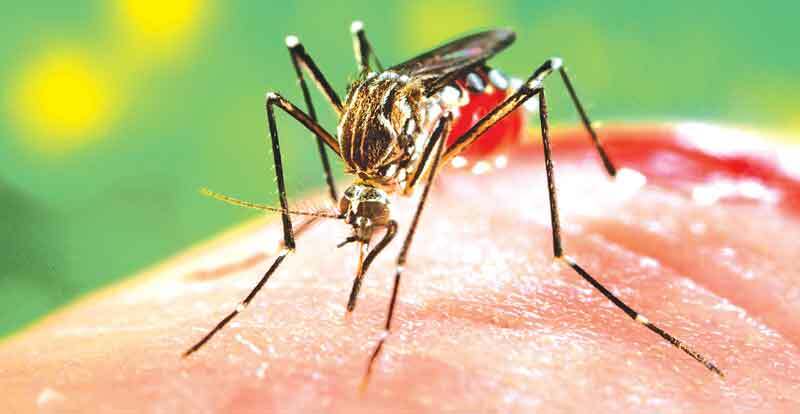 According to Dr. Bandara a total of 61,844 dengue patients and around 160 dengue deaths had been reported from all parts of the country during this year up to June 12. The highest number of dengue patients, 25,953, is from the Western Province. “It is observed that garbage disposal is not satisfactory at all. There will be an intensive dengue control program in 21 districts on June 15t and 16. Homes will be inspected and fogging will be done during these two days. A three months long National Mosquito Control Program is now in progress, “ he said. Dr Bandara said that the Health officers and members from armed forces will inspect homes and all the other places all over the country in order to make sure that owners / users of all premises in the country cleaned them from 9.30 am to 10.30 am on every Friday. Please clean the garbage and plastics which are mosquito breeding places. See the roads and the drains full of plastics and water collected. Re-cycle, re-use ! Do not produce plastics. Ban the silisili bags and wrappings and ridgifoam boxes too.